[Mitchell Johnson] wanted to develop for the STM32F4 Discovery board on his Mac. 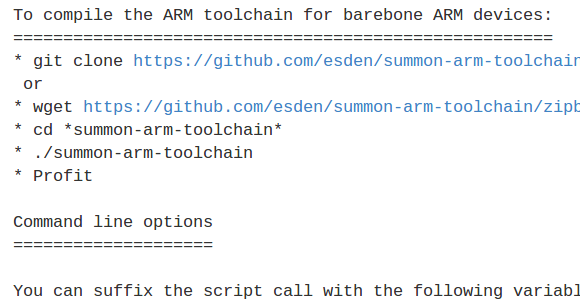 There are a few ready-to-use options when it comes to the ARM toolchains, but he couldn’t find one that satisfied all of his needs. After working out all the kinks he wrote a guide and tweaked a script to install the ARM tools on a Mac. The problem he had with some of the pre-packaged tool chains is that they didn’t support the hardware floating point functionality of STM’s Cortex-M4 chips. To get around this without doing his own ground-up build (which can be quite a challenge) he forked the Summon Arm Toolchain script and modified it to include ST-Link support in the build. One of the things that we like about that script is it installs the tools in a sub-directory of your home directory. This way if you already have another ARM toolchain you can switch between the two by tweaking your PATH variable. We’ve tried building our own ARM cross compiler on a Linux box and it’s no picnic. Luckily there is a free cross compiling toolchain available through Mentor Graphics (formerly called Code Sourcery G++). But those looking to develop on a Mac aren’t so lucky. There is help via a script, and [Michael] wrote a guide detailing how to use crosstool-ng to build an ARM toolchain on Mountain Lion. Crosstool-ng is a script which automates much of what is needed when compiling all the different components. But there is a some groundwork that needs to be in place before you can run it. For instance, some of the tools that ship with OSX aren’t entirely compatible with the GNU tools the script is looking for. One example is ‘grep’. Mountain Lion has the BSD version of grep but it is missing a few of the GNU version’s commands used by crosstool-ng. [Michael] will guide you through this and a handful of other issues until you have a functioning toolchain up and running. [Josh Wright] wrote in with a handy little hack just in time for today’s release of Mac OSX Lion. If you’re not familiar with the new version of the OS, Apple has decided to change things up this time around, completely eliminating physical distribution media. In the event that you need to run a factory restore, this becomes an issue for some users. 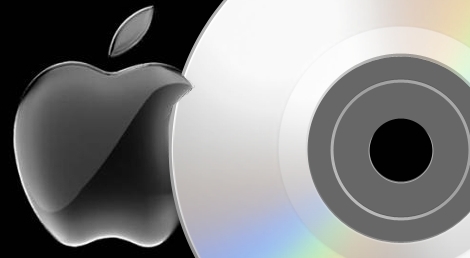 Computers with DVD drives can run a burned copy of the previously downloaded Lion installer, but MacBook Air owners are left hanging. Their restoration process is more time consuming, requiring a system restore and the download of OSX Lion, followed by the subsequent upgrade process. [Josh] thought it would be great if you skip the initial restore step and jump straight to installing Lion, so he hacked his USB restore media to do just that. While copying the OS to a USB drive might sound trivial, the process is not as straightforward as it sounds – not surprisingly, Apple has put measures in place to prevent mere mortals from altering the contents of the drive. [Josh] put together an easy to follow tutorial that walks you through removing the drive’s protection and copying your brand new OSX Lion restore image to it. While you might be asking, “Why jump through all these hoops when a normal flash drive would suffice?”, we think that his writeup is quite helpful. We see no reason to tie up a usable flash drive to store your restoration disc when you already have a perfectly good (albeit locked) drive at your disposal. ♦The only caveat to the process is that you need a Windows machine, virtual or otherwise, to complete the first step – a requirement that elicited a hearty chuckle from us. 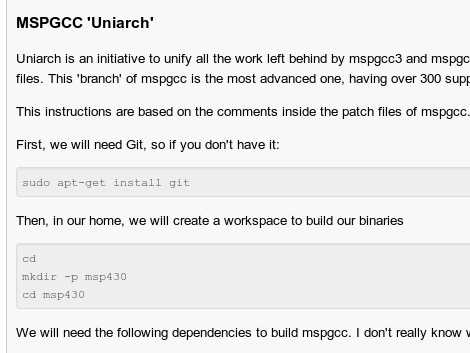 [Sergio Campamá] wrote in to tell us he’s assembled a guide for compiling the latest release of MSPGCC. 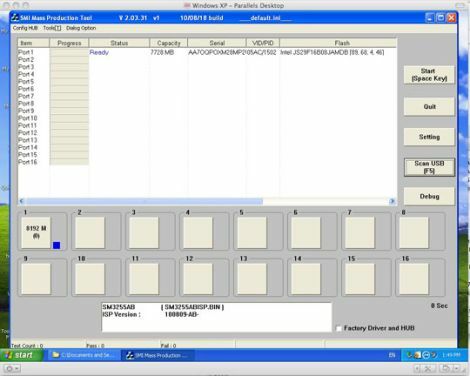 This is a cross-compiling tool chain for the popular MSP430 line of microncontrollers. We used a version available from the Ubuntu repositories when developing with the TI Launchpad and the eZ430-F2013. Installing from repositories is easy, but you don’t get the newest features and often newer hardware isn’t supported. [Sergio] reports that the newest version, called Uniarch, pulls source code and header files from the middle of this month and supports over 300 devices. In fact, it specifically outlines the goal of making new hardware easier to incorporate than with previous versions. He’s tailored this guide specifically for Ubuntu but while we were wading through a Google search we also found a page that outlines compilation for OSX. We didn’t really notice before, but GitHub sure does make those README.md files look nice when viewed on the web, doesn’t it? If you’ve been frustrated by the inability to skip past parts of DVDs on OSX the here is one solution. It’s a patch script that uses some binary hacking to remove the User Operation Prohibition locks from DVD playback software. Using UOP flags is a way to force users to watch trailers or warnings as part of the DVD experience. This script can patch Tiger, Leopard, and Snow Leopard systems. It also has the ability to generate diagnostic information for other installations that will lead to expanded support in the future.